Welcome to the BWA Limited. 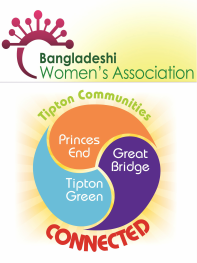 Our organisation is committed to creating social capital & social change through delivering the Tipton Communities Connected Programme. Funded jointly by the Big Lottery Fund, Sandwell Council and many other supporting agencies, this community led regeneration programme provides residents of Tipton with access to advice information and training whilst providing local venues for all communities to get more connected, empowered and confident to have a real stake in the sustainable regeneration and renewal of Tipton Neighborhoods.